Secure your data and reputation with Omega’s wireless intrusion prevention sensors. Wireless won’t leave you defenseless. Get the simplicity of Wi-Fi and PCI scanning in a single device. Omega’s Wireless Intrusion Prevention Sensors (WIPS) require no capital outlay or additional administrative support. Ideal for geographically distributed Wi-Fi networks, Omega’s WIPS can be easily managed from one central location anywhere over the Internet. Omega’s WIPS let you select the level of service that works best for your stores and your budget. If you have a robust IT infrastructure in place, simply purchase the WIPS from Omega and have your own expert team install and manage it. For merchants wanting more support, Omega can install your sensors and provide ongoing support to ensure your wireless defenses remain strong and PCI compliant. Defend your wireless space. Discuss Wireless Intrusion Protection Solutions for your locations today. Contact Omega. Threats to data security don’t always come from outside your company. Armed with the latest smart phone or other wireless device, employees and customers can also gain unauthorized access to your network to target sensitive financial data. As the popularity of wireless technology grows, so does the risk of Bring Your Own Device (BYOD) breaches from within your stores and offices. 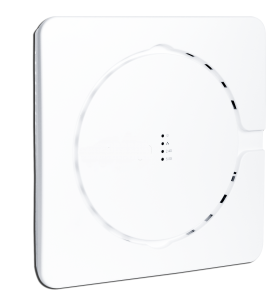 Protect your system from wireless intruders with Omega’s Wireless Intrusion Prevention Sensors. Used by some of the world’s largest enterprise firms, Omega’s WIPS regularly monitor and test network access points to ensure your network remains secure and compliant with all PCI DSS standards. Installed at your site, our advanced sensors block unapproved smart devices and rogue access before they hit the network.